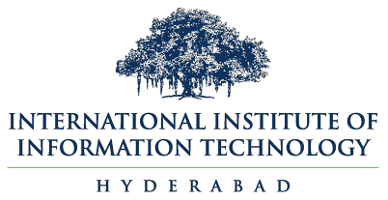 International Institute of Information Technology, Hyderabad (IIITH) is an autonomous university, founded as a not-for-profit public private partnership (N-PPP) in 1998, and is the first IIIT in India under this model. Over the years, the institute has evolved strong research programmes in various areas, with an emphasis on technology and applied research for industry and society. The institute facilitates interdisciplinary research and a seamless flow of knowledge. Several world-renowned centres of excellence are part of IIITH’s research portfolio. It has established various joint collaboration and co-innovation models with an industry outreach spanning significant national and multinational companies. Its innovative curriculum allows students the flexibility of selecting their courses and projects. Apart from academics the institute provides students with a comprehensive environment that promotes art and culture, sports, societal contributions and self-governance. Even undergraduate students get to participate in ongoing research and technology development - an opportunity unprecedented in India. As a result, a vibrant undergraduate programme co-exists along with a strong postgraduate programme.